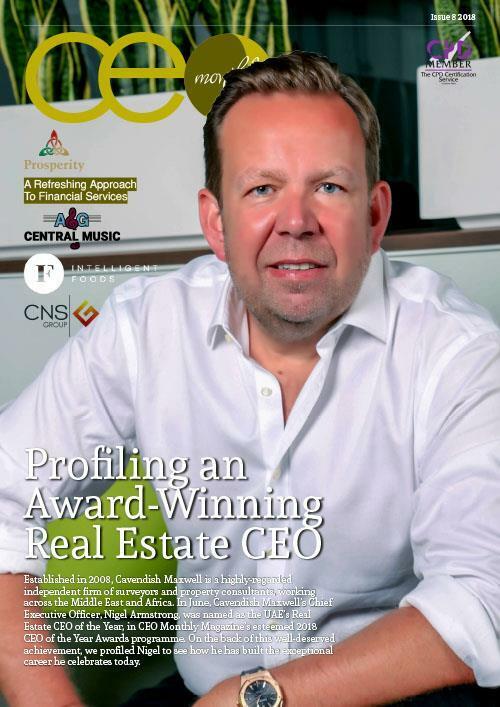 Welcome to the eighth issue of CEO Monthly, which is dedicated to providing our readers with the latest news and updates in all corners of the business world. Also in the issue, we spoke to Abdulrahman A. Abukhalid, Chief Executive of The Giant for Consulting & Training, on the back of his success in the Global CEO Excellence Awards programme. We endeavoured to find out more about Dr Abdulrahman’s approach to sales and collection training in Saudi Arabia, which has capitalised on the region’s appetite for best-in-class business training services. Finally, offering an insight into the world of independent financial consultancy, Andrew Cole writes about his responsibilities as CEO of Prosperity, and how he has driven innovation at the company. As a veteran of the finance industry, he has learned valuable lessons on the back of success and failure; he believes both are essential in navigating an often-tumultuous, but ultimately rewarding, sector.